We are happy to announce that our good friend Kent Scantland has opened the Sandbar in the Hermosa Heights Retail Center right on the Main Street in Playa Hermosa. 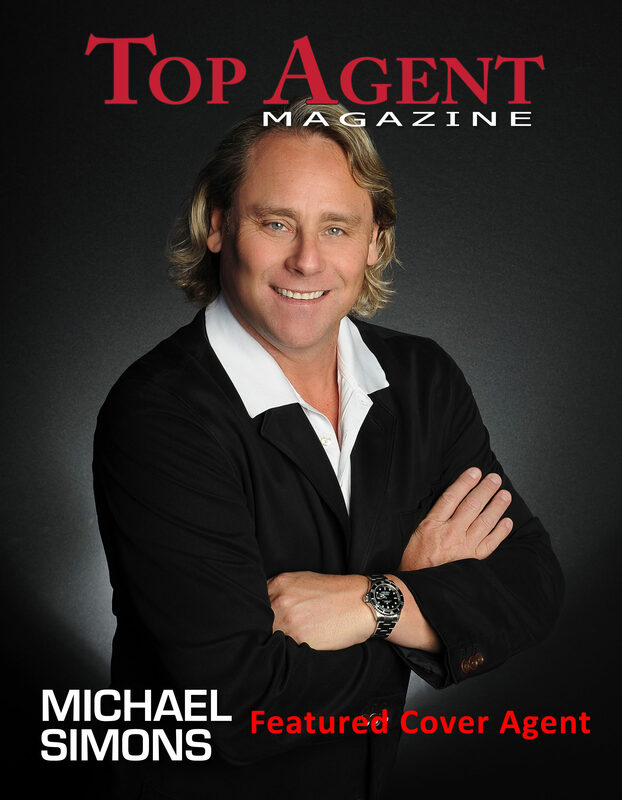 Kent tells stories of his exploits with his best buddy Michael Simons starting back in 7th Grade all the way to how he reconnected with Michael in 2011 and followed him to Paradise. The BIG Grand Opening Party at the Sandbar is December 5th! Come join us in welcoming them to the community. From 2 PM to Midnight the big bash will feature live radio broadcasting from Radio 911, Live music by Will Matthews, The Latin Trio and DJ Wardo from San José and an art exhibit. If you have not been yet, The Sandbar has elevated the level of taste and care they put into providing you all your comfort food favorites like Gourmet Burgers, Wings and Appetizers along with a creative list of Cocktails and locally sourced Beer. The service is great, the atmosphere is fresh and clean and of course you can watch any imaginable sporting event on one of their many big screen TV’s. Open 7 days a week from Noon to Midnight Sandbar features Live Music, Game Days, Sunday Brunch, Karaoke and Community Events. 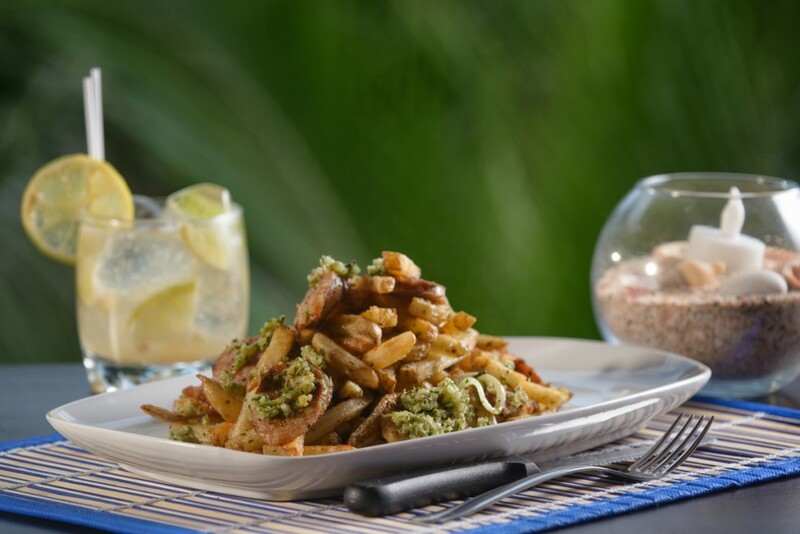 The Sandbar has made it their philosophy to source their menu ingredients from local Farmers, Butchers, Bakers, and Brewers which means they use Organic products, local Meats and Seafood, homemade Chips and French Fries and Sauces made from scratch. 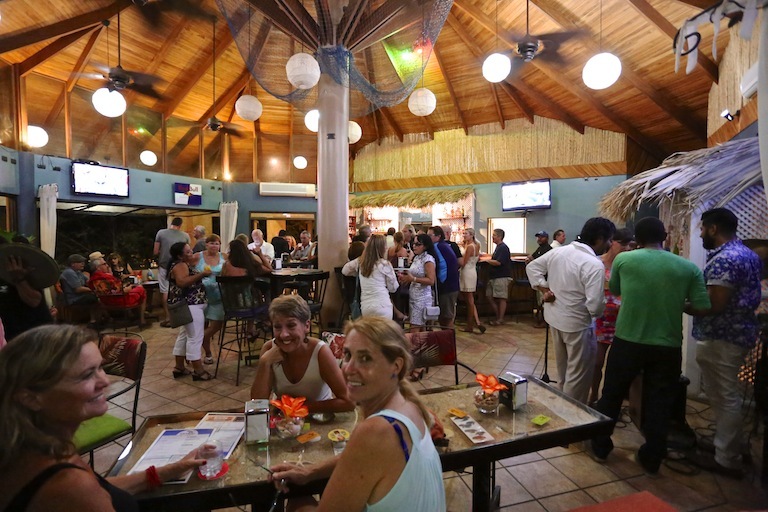 Do you self a favor and check out the Sandbar – You will be impressed and will definitely want to come back for more. As their Slogan says – COME GET SOME! There is a backstory of why Kent opened the Sandbar that started back in 7th Grade when Kent and Michael became best friends. In the video below Kent gives us his version of events from his and Michael’s (innocent?) Middle School exploits to his many trips to Costa Rica before making the decision to follow his best buddy to Paradise. Kent has two grown children who have visited him in Costa Rica. Besides them falling in love with this beautiful country, it has allowed them to spend quality time with their Dad that they would not normally get when they are back home with the stress and hustle and bustle of life in the United States. The Piña Express – Angus Beef topped with grilled pineapple and jalapeño and lovingly slathered in a ginger-teriyaki sauce. 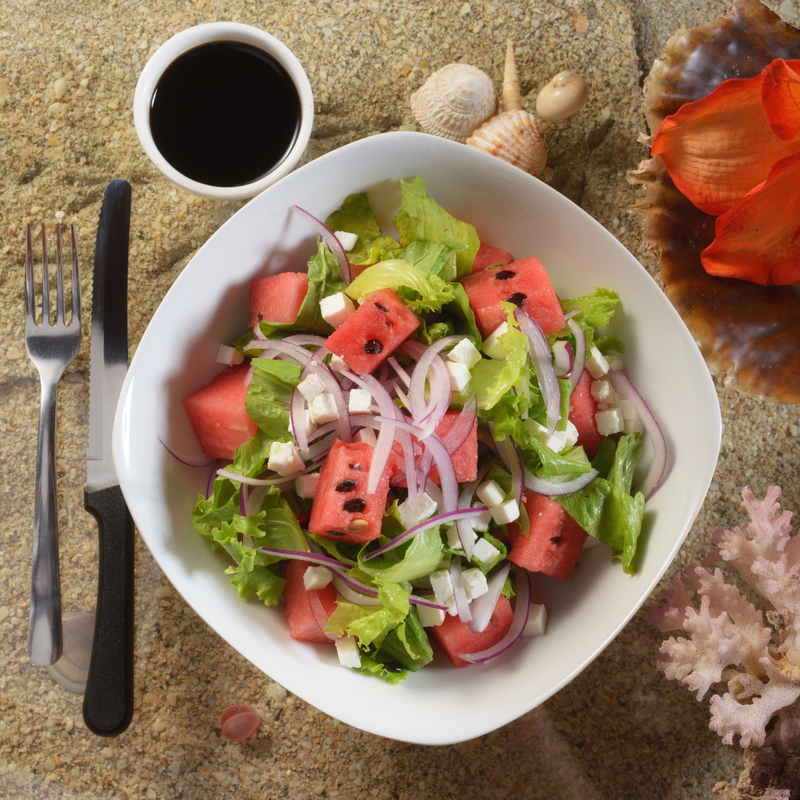 Watermelon Salad – An awesome blend of sweet, salty, and tangy! Watermelon, feta, arugula, finely sliced red onion, lightly tossed in balsamic vinegar & coarse black pepper. 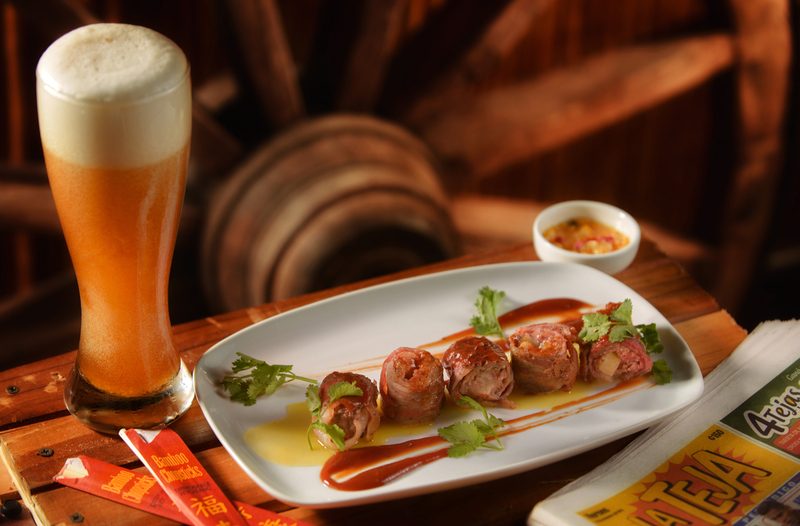 Bacon Roll – Bacon, Angus beef, and cheese all rolled up into a delectable pseudo-sushi -roll, with our signature Sandbar sauce. 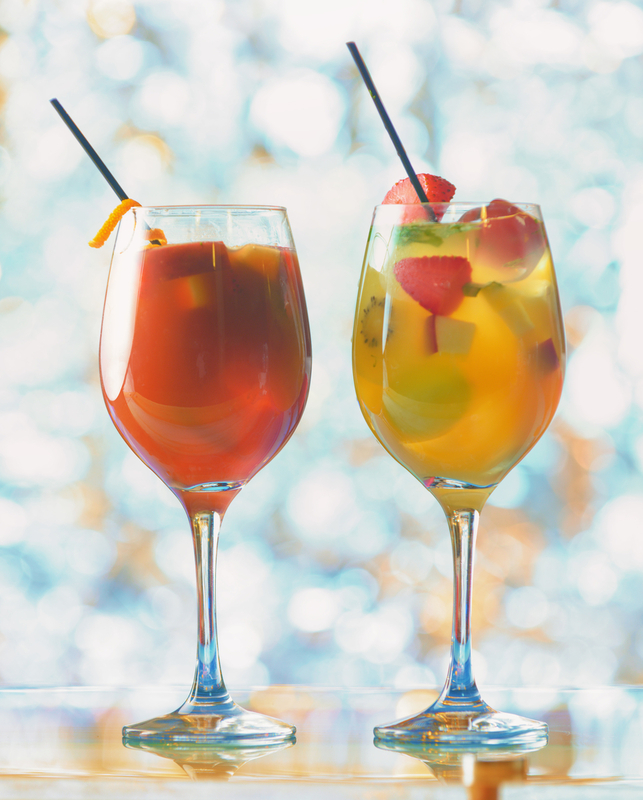 Sangria – Seasonal tropical fruit soaked in an addictive combination of red or white wine, guaro, and orange juice. Lucy! I’m Home! 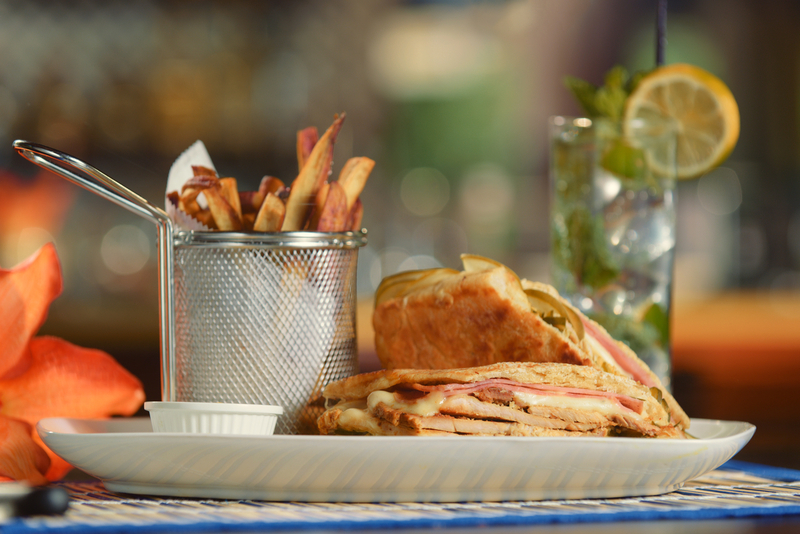 Featuring our Mojito – Our take on a Cubano. Lovingly marinated pork topped with ham, swiss, mustard, and dill pickles and pressed between two slices of fresh ciabatta. You’re gonna love it. 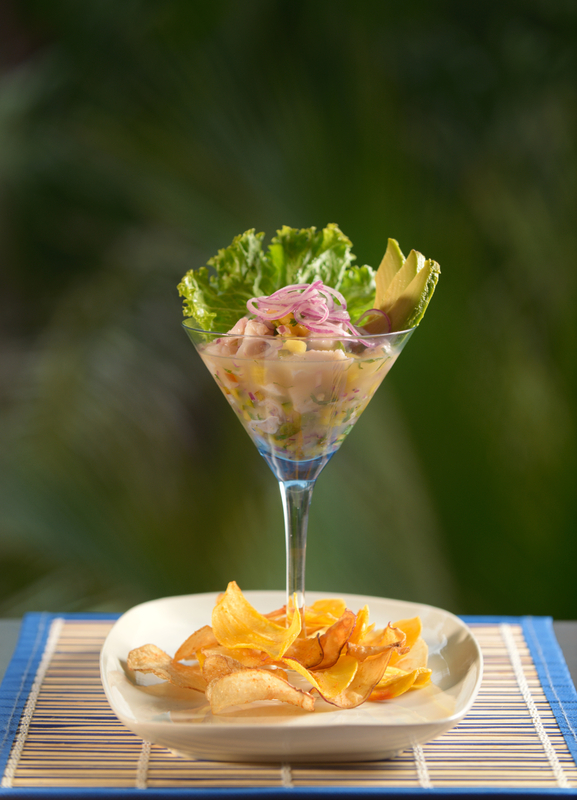 Ceviche- Local catch of the day, marinated in our secret citrus blend, chilis, avocado, red onions, served with Sandbar chips. 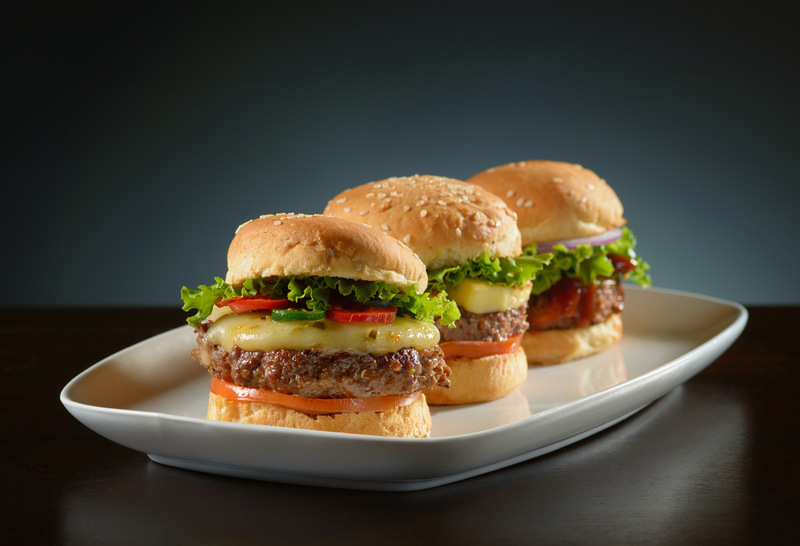 Fight or Flight – A customized flight of sliders – select three from our special selection of burgers and sandwiches. 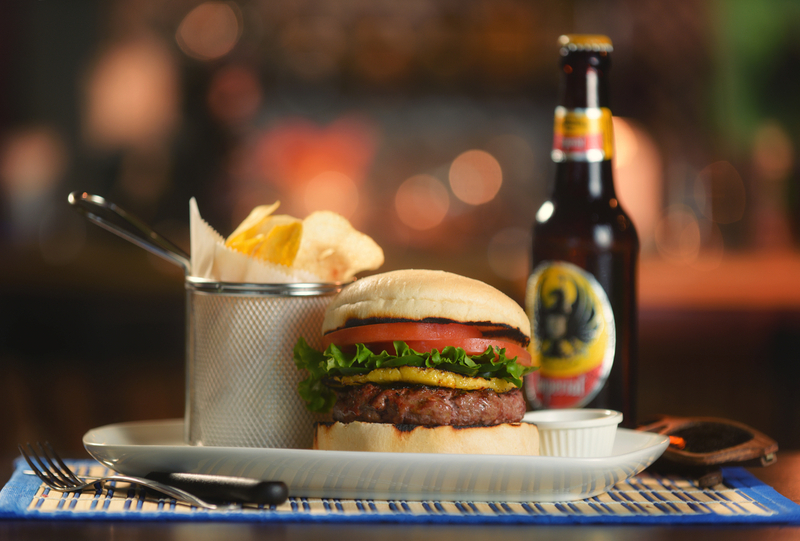 This flight includes our El Gringo, I Only Smoke When I Drink, and Sandbar’s Classic Burger. 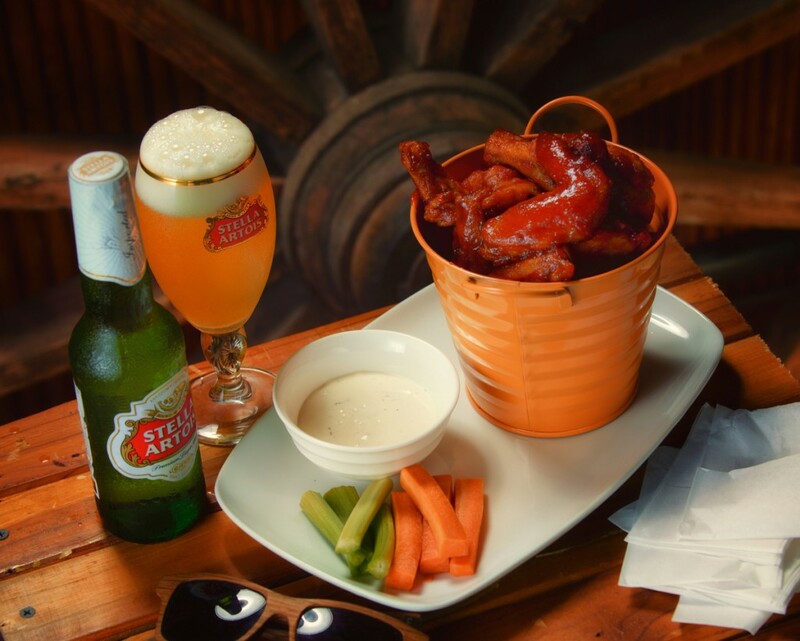 Our phenomenal wings are hand-spun in generous amounts of your choice of sauce or dry seasoning – served with celery, carrots and ranch dressing. This photo highlights a Sandbucket (one kilo) of wings slathered in Bee Sting sauce. Salchipapas featuring the Kai Piraña: Rico Nico’s hand-made sausage, crisp papas fritas, and our homemade chimichurri sauce. Oh, so very good. Kai Piraña – A delightfully refreshing medley of guaro, lime, and fresh ginger root. Mmm! Happy Hour! 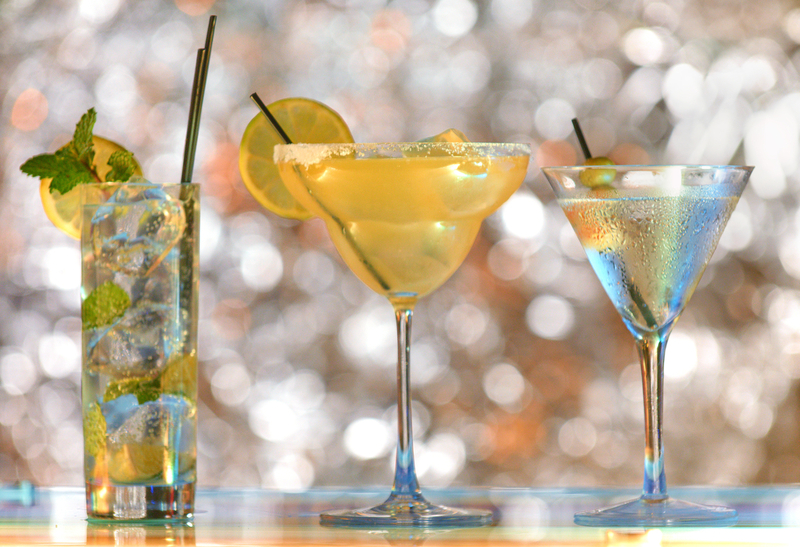 From 4-7 Monday through Thursday, we offer 2 Margaritas, Mojitos, and Martinis for the price of 1! Sandbar – Come Get Some!